I’m a horse lover, business woman, life enthusiast and fashionista. 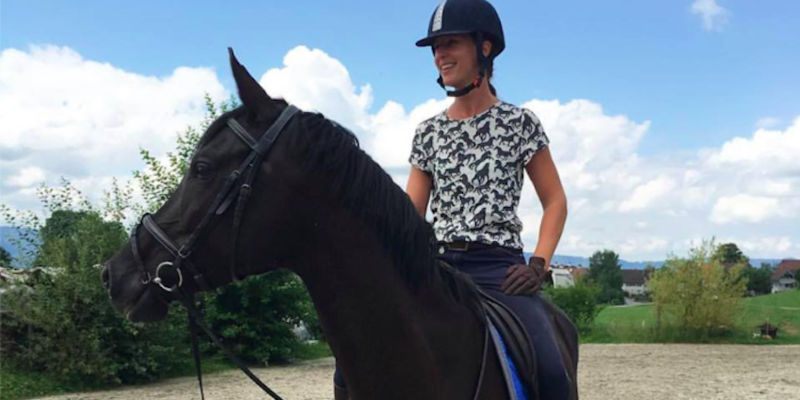 Originally Dutch, but currently living in the Zurich area in Switzerland, trying to build up my online business by following my true passions: horses and fashion. I find myself quite often standing in front of a full equestrian closet with absolutely nothing to wear. Wishing there was a style guide to help me look my sporty functional fashionable best every day I head off to the stables. Additionally, I have had to juggle the whole ‘office to barn’ look on many occasions and really could have used some inspiration on how to limit the odd office changing room awkwardness. pixlr and enlight … I try to edit as little as possible, as i want to provide a real picture of what styles can look like in real life. Don’t over do it, I quite regularly feature sponsored content, but the majority of the posts are still really me, and this way you keep the authenticity of your account. Stick to what you really love and don’t get tempted by the cash to sway from your core interests and business. Original content is key – it tells the world who you are and what you stand for. I re-post as well, but only posts that really fit with the look and feel of my account/blog and always always credit back to the original poster. I LOVE finding new start-up brands and providing them a platform to showcase their goods, as they might not have been able to afford the ‘regular’ media support. It gives young enthusiastic entrepreneurs a much needed leg-up in the business.